I met Janet Gover at an RNA do years ago and we just clicked. Janet’s great fun, full of enthusiasm and verve, and it doesn’t matter if I haven’t seen her since the last RNA do – I know I’m always going to be met with a warm hug. 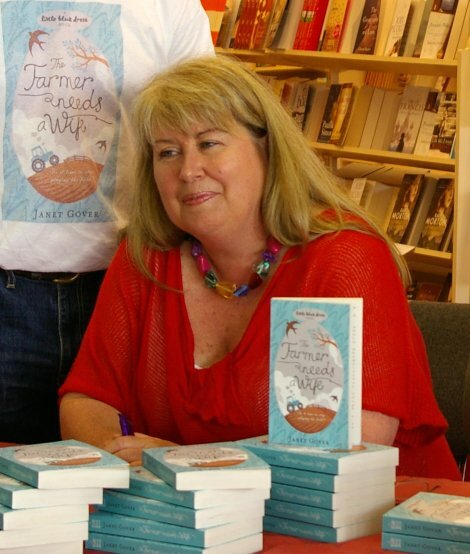 I was delighted when she had her first book accepted by Little Black Dress - she really worked hard for it and deserves every bit of her success. 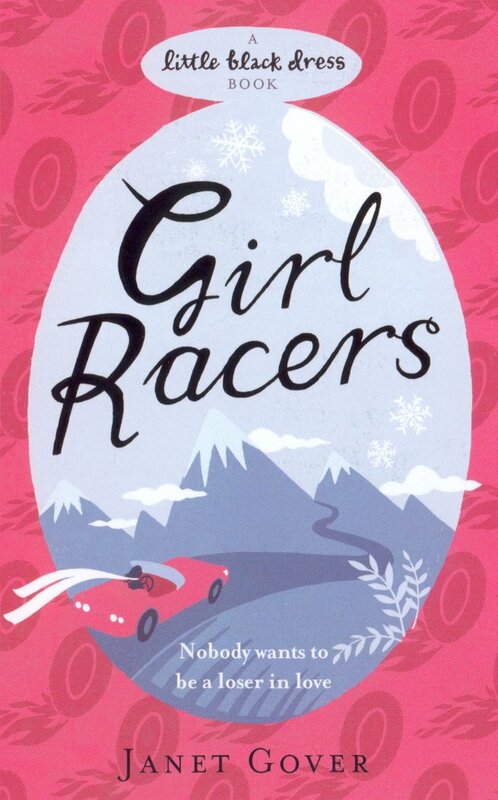 It's a great pleasure to be here on Kate's blog – celebrating her wonderful achievement. 50 books – and every one of them has touched people's hearts. I'll bet I'm not the only one who has shed the occasional tear – come on now – be honest! I bet she's had you reaching for the tissue box too. I love a good cry. Movies. Books. When Kate won the RNA romance prize. Think of Meg Ryan in Sleepless in Seattle – cuddled up on the sofa with a romantic film and a box of tissues. Crying can be good for us. Seriously. It's very cathartic. But it can be embarrassing. I have been known to burst into tears on a train or a plane or in a hotel dining room. A serious, sensible woman in a smart business suit, crying like a baby because some book has touched me. Yes - Kate. You are one of the guilty parties. I have also been known to burst into tears when I'm writing. I become so involved with my characters and their stories, I feel the emotions they are feeling. The joys and sorrows. I know that when I get a little misty while writing a scene, there's a very good chance my readers will feel the same way. When I first started writing, I tried my hand at short stories. I sold a few to women's magazines and one day I received a letter. It was from an elderly woman who had read one of my stories. It's a story about people who have been in love for a very long time. That reader said the character in the story had reminded her so much of her late husband, she had cried. Don't get me wrong – I'm a strong woman, some people would even call me tough – but I'm not ashamed to admit that sometimes, I cry. None of us should be. So thanks Kate – and all the other authors who touch me like that. 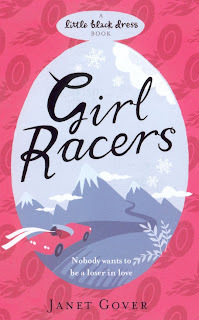 I'm going to give away a copy of Girl Racers – and see if you can find the scene in that made me cry as I wrote it. To win – just let me know a book or a movie that made you cry – maybe more than once. Don't know if you remember, but we met in the bar at Caerleon in 2010 - how time flies! Lovely post ! I cry with books all the time so there are too many to name. But only one movie has been able to make me cry ,The Notebook ! I cried so hard that my son thought I was seriously upset over something really bad. Great post. I tear up reading emotional scenes in most of teh books I read. But apart from The Notebook, A Walk to Remember is my weakness. I re-read the story and cry. When I watch the movie, without miss, I cry all the time. I don't cry reading the book - but I do in the film - as they say goodbye. I think I have cried in all the films made from Nicholas Sparks books - but never in the books, which is strange. I have a confession - I do cry every time the first copy of one of my new books is delivered to me... and I don't think that will ever change! That Mr Sparks again - he's pretty good isn't he. I think it's time I went back and re-read his books... thanks for reminding me how good they are. Funny that both your films are based on Stephen King books - which are supposed to be scary. I like both films - but I like the books even better. Is it weird to be a romance writer and still like to get scared witless by SK? The ending of "Affair to Remember" made me cry. There is just something about Deborah Kerr and Cary Grant in last part of the movie (from the car accident to the end) which brings tears to my eyes. An Affair To Remember is one of my favourite movies of all time. The original version of course.. I was never a huge Cary Grant fan - but oh yes, he did it for me in that one. I think - next cold rainy day - that might have to come out of my classic movie collection for another viewing. There may be chocolate involved. "An Affair to Remember" is a remake of "Love Affair" with Charles Boyer and Irene Dunne. I have both movies in movie collection. There was a version of "Love Affair" with Warren Beatty and Annette Bening which for the most part was a waste. I still prefer "An Affair to Remember" over the original "Love Affair. I did see the Warren Beatty/Annette Bening version - and agree it was not a patch on the Cary Grant/ Deborah Kerr classic. It would have to be The Green Mile! I liked the Gren Mile too - I read it the first tme in segments as it was released. I am possibly one of the few people in the world who is not a huge Tom Hanks fan - but I did like him in this film.